Elijah was given a gift under a broom tree, and as a result the world received something even greater. 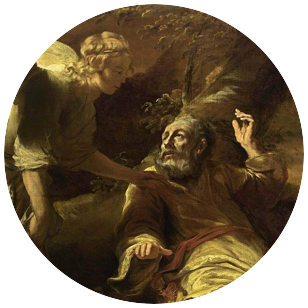 God met Elijah’s needs at a critical time in practical and miraculous ways. That encounter led to an “aha” moment that brought clarity and challenge, which has benefited every generation since. We aim for a similar impact. 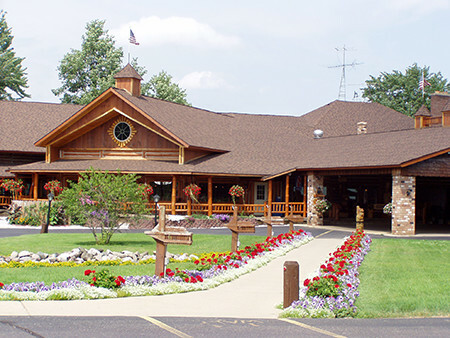 Broom Tree Ministries provides spiritual retreats for pastors and their spouses. The retreats are designed to provide uninterrupted time with God in rest, reflection, and beauty. We prioritize good food and lots of time with spouses. Our guests consistently experience “aha” moments that bring clarity and challenge for the next season of ministry. Since 1997 we have been strengthening the church one pastor at a time. Pastors and their spouses are given a gift at Broom Tree, and as a result, an even greater gift is given to their communities. It’s a gift of spiritual and emotional health that multiples into families, their neighborhoods, and workplaces. Located just 1 hour north of Grand Rapids, Michigan, the Shack is a 100-acre country estate complete with a log lodge and a lake with paddle boats and canoes. Plenty of walking trails and places to enjoy the beauty of God’s creation. The property abounds with gazebos and benches for times of reflection and prayer. There’s even a small prayer house on the lakeside trail. It is a strategic withdrawal from the "world" in order to be alone with God. Why take a spiritual retreat? Jesus is the model – He routinely took his disciples away or went away by himself. God often speaks in a still small voice – we need solitude to hear Him. Let God set the agenda – be expectant. Be ready for peaceful, quiet and beautiful surroundings with plenty of uninterrupted time. God always shows up – He is true to his promise. Why is there a Broom Tree Ministry? It was God’s idea and He called Dwayne and Rita Hanon to start this type of ministry. He is calling others as well. Our society needs Christian pastors who are close to God – ministry often leads them away. Weariness makes leaders lose their courage – rest restores courage. Pastors and their spouses are often separated from each other because of ministry pressure. What is done on a spiritual retreat? Follow one of the program guides or design your own. Disconnect from the world by observing a media fast. Get proper rest. Listen more than you speak. Listen through God’s Word and prayer. Listen through music or by just watching His creation. Listen through the books provided to help direct this type of retreat. This concept is fairly new to the protestant church in America. Many churches do not provide the time away or the money for a pastor couple to go on a retreat. Hundreds of donors support Broom Tree Ministries. Just as salvation is a free gift and evidence of God’s love, so these retreats are free so that pastor couples have more tangible evidence of His love for them. I thank you for the opportunity to come, relax, and connect with God, my wife, and my calling. May the Lord richly bless you in the days to come"
To be considered for 5-day Retreat, please take a moment to complete our application for invitation. We’ll review your application and follow up with a brief phone interview.